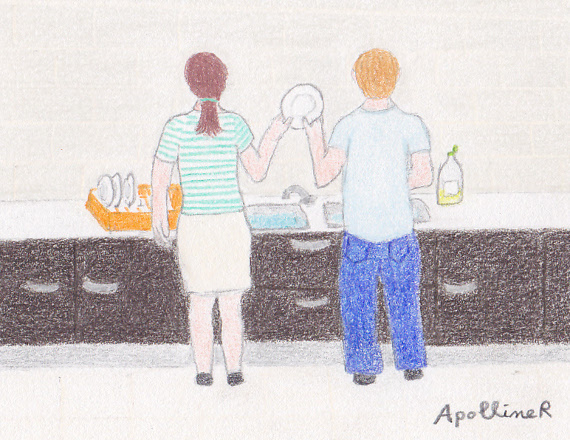 This a drawing of a man and a woman washing the dishes together that will illustrate an upcoming article. I think it relates well to this week Illustration Friday topic: Equality. Yes, this is good! Being equal starts with doing the dishes! Hi I think it will be male female equality blog am I right or wrong please correct if I am not right.